LASHEM gets its Picture Perfect job done using all natural ingredients. Your own natural beauty is enhanced and instantly lifted, both figuratively and actually. Your face will receive an instant lift, smoothing wrinkles and fine lines. This is all achieved by LASHEM without pain, without needles, and with no doctors or surgical procedures involved. The natural ingredients in LASHEM’s Picture Perfect anti-aging wrinkles cream include Acacia Senegal Gum prepared from the sap of the Acacia tree. LASHEM also contains Adipic Acid, an organic compound. DrSkinSpa.com is an Authorized Retailer of Lashem. All Products are Guaranteed Authentic & Fresh. LASHEM is both technologically and aesthetically ahead of its time. The company has taken today’s got-to-have-it-now culture to heart. They have given you a solution for anti aging wrinkles that works instantly to eradicate wrinkles, clear up your skin, and tingle your face back to life. The LASHEM brand offers anti ageing products for women from all walks of life, from the corporate woman to the stay-at-home mom. LASHEM is all about giving women safe and effective products for the eyes and the skin to improve and prevent the telltale signs of aging. LASHEM skin care products are gentle and are not irritating. LASHEM’s mission is to improve women’s life with health and the gift of youth by letting them love the way they look right now and in years to come. LASHEM’s Picture Perfect Anti-Wrinkle Cream is a skin-rejuvenating formula that is way ahead of its time. This revolutionary solution for anti aging wrinkles on the face works in an instant. It reduces wrinkles over the long haul, gives the face a radiant glow that women can even feel as the tingling tells them something good is going on. The natural ingredients in LASHEM’s Picture Perfect anti aging wrinkles cream include Acacia Senegal Gum prepared from the sap of the Acacia tree. LASHEM also contains Adipic Acid, an organic compound. As an anti ageing product, LASHEM goes to great lengths to ensure customers achieve the desired “picture perfect” effect. This is an instantaneous anti aging wrinkles reducer. It will also moisturize and brighten your entire complexion, adding to the look of youth. The formula is free of parabens and is all natural. LASHEM utilizes the QuSome patented technology that allows its active ingredients to sink deeply into the epidermis. The production of collagen and elastin are increased as the texture of the skin is made more supple and smooth. The stress put upon the skin by environmental toxins is markedly reduced and protected as LASHEM reduces tissue damage. LASHEM’s Picture Perfect Anti Wrinkle Cream comes in an airless bottle that prevents contaminants from entering the ingredients and maintains the integrity of the formula. 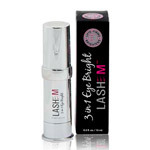 LASHEM also makes other anti aging products with its 3 in 1 Finished Good Eye Bright formula that beautifies the eyes, ridding them of aging dark circles and puffiness. The company makes a Measurable Difference Lash Gel that adds vitamins, proteins and other rejuvenating ingredients directly to your eyelashes nourishing, plumping, and brightening them. 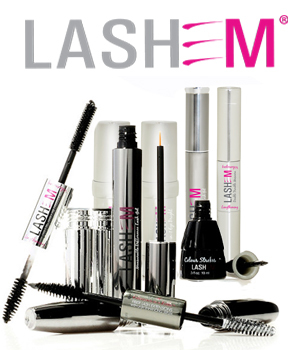 In fact, LASHEM’s mascara line is tough to beat for its enhancement of your eyes and its anti aging health factors. LASHEM’s Dramatic Eyes Set contains five different eye shadow colors, glittery eyeliner, an eye shadow application brush, and two sets of false eyelashes. It comes in a gorgeous gift box, perfect for that holiday or birthday special present. I will use DrSkinSpa again. They have the fastest service and I got the products I ordered within days and have been using them for a month now. I cannot believe what a difference it has made to my skin. I used to have difficulty with products because my skin is so sensitive and I am now pleased to say that my skin looks the best it has ever looked. Thank you DrSkinSpa!